Polysomnography (PSG) refers to the objective scientific method developed in the second quarter of the twentieth century for studying sleep. Owing its roots to electroencephalography and other electrophysiological recording techniques, PSG rapidly evolved from its role for scientific inquiry to clinical applications. As a technique for describing sleep psychophysiology, it remains unparalleled. 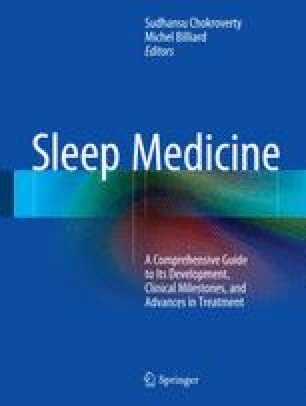 Laboratory sleep studies revealed many underlying pathophysiologies that illuminated the path to contemporary sleep medicine. Beginning in the 1980s, PSG became the chief diagnostic method for recognizing sleep-related breathing disorders. Finally, PSG is an odd term combining Greek and Latin elements. Why multichannel electrophysiological sleep recordings were not named polyhypnography or multisomnography is not known. Regardless of its name, PSG captured the imaginations of researchers and remains clinically relevant for evaluating sleep disorders.